From Inversgail, Scotland, to wherever you are – if you’re sitting down to a feast this Thanksgiving or if you’re filling plates in a serving line to make sure others have a warm meal, if you’re traveling or if you’re far from home and those you love – we thank you for being readers and for spreading the joy of books. With all our love, Janet Marsh, Christine Robertson, Tallie Marsh, Summer Jacobs, Rab MacGregor, and Norman Hobbs. Scones and Scoundrels, book 2 in the Highland Bookshop Mysteries, comes out January 2, 2018, and is available for pre-order now wherever books are sold. 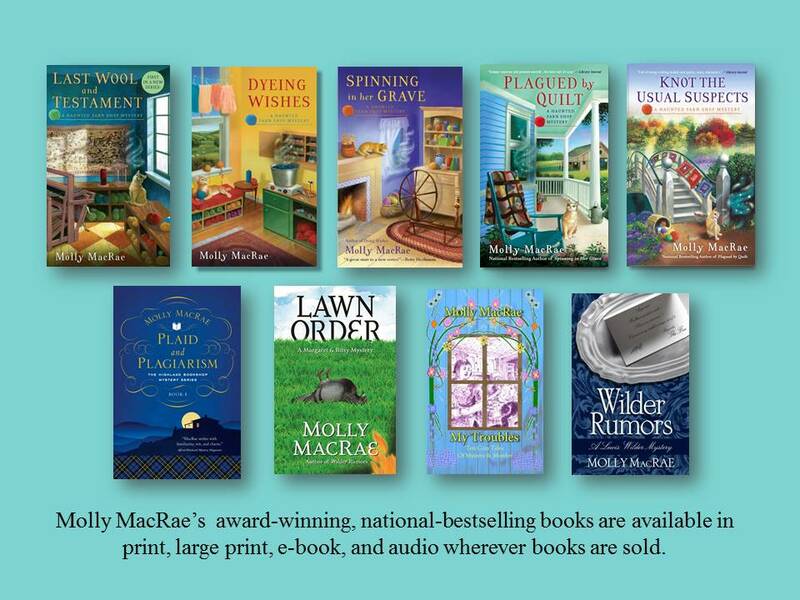 Molly MacRae is also the author of the award-winning, national bestselling Haunted Yarn Shop Mysteries. 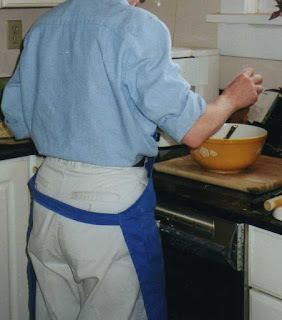 Visit Molly on Facebook and Pinterest, connect with her on Twitter @mysteryMacRae, or find her the first Monday of each month at Amy Alessio’s Vintage Cookbooks and Crafts. I hope your day is wonderful. Thank you! It was, and I hope yours was, too. Happy Thanksgiving to you, too, Dee! Authors are thankful for readers! Thanks for stopping by. It was a splendid day spent with the grandboys! Thanks for stopping by. We all ate just the right amount and not another crumb more (or maybe one or two crumbs more). I hope yours was great, too. You're welcome! Thanks for stopping by. Hope everyone has a great day! It was a super day! Hope yours was as well. I have a personal connection to this series, as you may guess by my name. James! Fancy meeting you here. I've been told that our author's copies are arriving any time, and that means you'll find something in your mail shortly after that. Think of it as an early Christmas present. Thanks for stopping by! Absolutely loved Plaid and Plagiarism! I requested it at the library so I'm sure lots more people are fans by now. Happy Thanksgiving! From the bottom of my heart, thank you for those kind words. Writers would be nowhere without kind readers. Thank you, Della. Happy Thanksgiving to you, too. Congratulations, lkleback! You've won one of the copies of Scones and Scoundrels. I'll be in touch. Thanks for stopping by Killer Characters. My family and I had a splendid day. I hope you did, too! Thanks for stopping by the blog, Libby. Books make the world go round, don't they? Thanks for stopping by, Autumn. Happy Thanksgiving! Happy Thanksgiving! Would love to start reading this series. Thanks for stopping by, Dianne! If you have a public library, check there for the Highland Bookshop Mystery series. If they don't have the books (Scones and Scoundrels, book 2, isn't out until January), and if they take suggestions for additions to the collection, put in a request. Then you can read them and so can others! Thank you, Carol! Thanks for stopping by. Lovely words. Thank you, Marilyn. And to you, Marla! Thanks for stopping by. Happy Thanksgiving, Jen. Hope yours was a good one. That's a lovely tribute to your mother-in-law, Ruth! I'm so glad you liked our first adventure. Happy Thanksgiving. Happy Thanksgiving to you, too, Jana! Thanks for joining in our Season's Readings fun. Thank you for the giveaway and Happy Thanksgiving! You're welcome! Thanks for stopping by, Patti. Happy Thanksgiving to you, too. LOL! That Friday shopping can be brutal, can't it? That's something I don't miss after our move to Inversgail. Happy Thanksgiving to you and yours! Happy Thanksgiving! Hope you have a blessed and happy day! Shared but would love to be one of the fortunate ones selected. 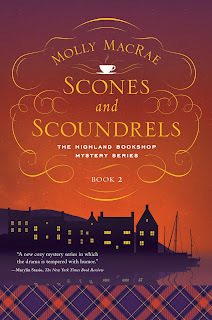 I would love to read Scones and Scoundrels. Thank you for the chance! Happy Thanksgiving! Thanks for the giveaway! You're welcome! Thanks for stopping by. Hope your Thanksgiving was delicious. Happy Thanksgiving from Tucson! Weather was 87 degrees today. Delightful weather and delicious food shared with family and friends. Very thankful. Lldawnjm (at) gmail (dot) com. Thanks for a chance for a Scottish getaway. Extra fun to read cozies set in other countries. 87! We had delightful weather, too, but not quite that warm. I'm glad to hear you like cozies set in other countries. :) Thanks for stopping by, Jane. Happy Thanksgiving! Thanks for the great giveaway! Happy Thanksgiving to you, too, Ellie! Happy Thanksgiving. Sounds very cozy. I love bookstores. Happy Thanksgiving, Helen! Thanks for stopping by. Hope your Thanksgiving was good. LOL! I do that all the time. Got it. Thanks! I hope you had a wonderful Thanksgiving and I wish you a wonderful holiday season. Thank you, Hope! Wishing you a wonderful holiday season, too. We had a wonderful, empty-nest, just-the-two-of-us feast. bobwiesmann (at) gmail (dot) com. That sounds peaceful and just right. Thanks for stopping by, Barb! What great photos and thank you for the giveaway! Happy Day After Thanksgiving! And happy day after, day after, day after Thanksgiving to you. I love your email address! I hope you are enjoying the holiday weekend. Thanks for the contest. Enjoying it tremendously! Thanks for stopping by. You are incredibly sweet! Thanks for stopping by, Doward. You're welcome, Robin! Thanks for stopping by. The giveaways will go on all month, so keep trying. We know how much you love cozies! You're welcome. Thanks for stopping by! really looking forward to this title's release!! Thank you, Johnna! So glad to hear that! Enjoying it immensely! Hope you are, too. And thank you for reading Killer Characters! It's been a wonderful weekend. Thanks for stopping by. I'm so glad you liked Plaid and Plagiarism! Thank you for your kind words. We are, and I hope you are, too! I hope you had a great Thanksgiving, too. Thanks for stopping by. It's been a wonderful weekend. Thank you, Pam! I hope yours was, too. You're more than welcome. Thanks for reading Killer Characters! He was a very special kitty! Thanks for stopping by. I long to go to Scotland. After having recently traveled to England, the desire to return is so strong and next time I want to visit Scotland also. In your opinion, what month(s) is the best time to visit? You'll love Scotland! May and October are especially lovely, but I would go any month at all. As long as you're prepared for rain (stopping in a bookshop or tea shop are good options), then you'll be all set. The daffodils in March are glorious! This series sounds fabulous. Thank you so much for the chance to win! Thank you, Abby! Check for the series at your library. I'm sure I'll do another giveaway, too, so stay tuned and keep visiting Killer Characters. I had the best Thanksgiving, Ruth! Having a traditional American Thanksgiving in a small Scottish town takes a little ingenuity, but we had a wonderful feast. I hope you did, too. Thanks for stopping by. Thank you! My favorite is the dear old cat in the lap. Thanks for stopping by. Great pictures on the page - The cat looks like our old Butterscotch (who passed away 6 yrs ago). I am thankful for my wonderful wife and all of the great cozy mystery books I have found over the last couple of years. Thanks, John, and congratulations! You've won one of the copies of Scones and Scoundrels. Thanks for stopping by. Butterscotch is a perfect name for a yellow tabby cat. Happy leftover days to you, too, Jeanie! Thanks for stopping by. Great giveaway. Fantastic book cover! Hoping everyone had a great Thanksgiving. I’m thankful for so many goo books to read! And we at Killer Characters are all happy for such devoted readers! Thanks for stopping by. Isn't Scotland a beautiful place? Thanks for stopping by, Ginger! Thank you, Pat! I hope you get the chance to visit Scotland for real someday. You'll love it! Thanks for stopping by. Hope you had a lovely Thanksgiving! I did and I hope you did, too. Thanks for stopping by! It was wonderful, Marlene. I hope yours was good, too. Sorry for the trouble logging in. Thanks for stopping by and for being such a devoted reader of cozies! I'm thankful for all the readers and cozy mystery lovers out there. Thank you all for reading Killer Characters. Congratulations to John Presler and lkleback! You've each won a copy of Scones and Scoundrels.